A blog about the Spartal rebrand. 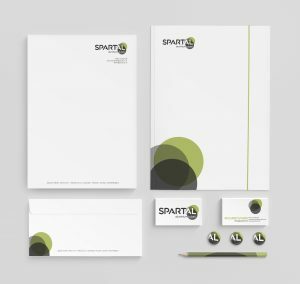 Sixth Story came upon the opportunity to work with a traditional British manufacturing company to give Spartal a rebrand a refreshed identity. 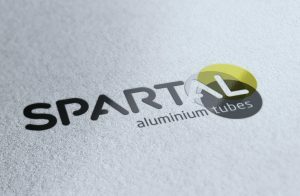 The brief was to take aluminium tube producer Spartal’s logo and give it a more professional and modern look. One of the key elements was to reflect the heritage of their company located in the Cotswolds. We were also asked by the client to make use of the AL in Spartal as it represents Aluminium in the periodic table of elements. We decided on a rounded typeface with a slight vintage feel to it that reflected the shape of their products and traditional, quality manufacturing. We highlighted the AL using circles (a tube looked at from the front), using greys to represent metal and green to give a feel of the Cotswolds where the business is based. The new logo gives the company a friendly, approachable look that visually represents the industry and location they work in without being too literal. Thus allowing them to go International with the professional identity. After we completed the Spartal rebrand, we developed a set of brand guidelines to ensure the logo was applied consistently in reproduction across the business. From stationery to signage and a new website for the local manufacturer. We were very pleased to launch their new website, optimising the pages for ‘aluminium tube manufacturers‘ related search terms. For which, they can be found on the first page of Google – we also implemented a PPC campaign that the client can turn on and off resulting in a 100% increase in enquiries through the website. A great result for the Spartal rebrand and new website.